The NT elections are coming up on August 25th. The Age political editor Misha Schubert has identified the desert seat of Stuart as the potential site for a defacto poll on the NT Intervention in this insightful piece. 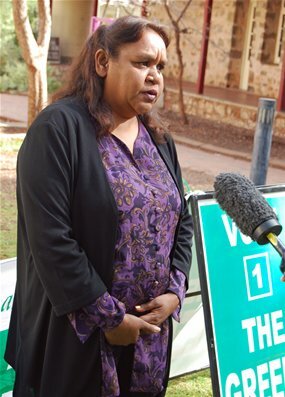 The field of likely candidates for Stuart, which covers many of the NT’s remote Aboriginal communities, includes the Greens’ Barb Shaw and the Country Liberal Party’s Bess Price, who are diametrically opposed on the NT intervention. Will be a fascinating contest. Due to the small size of the chamber, and the current political climate, and the fact that electorates in the Territory are very small as well, I think it is a possibility at least.